Get estimates, schedule pickups and track your shipments. Whether you’re at the office, or on-the-go, Purolator can help you stay connected to your business. 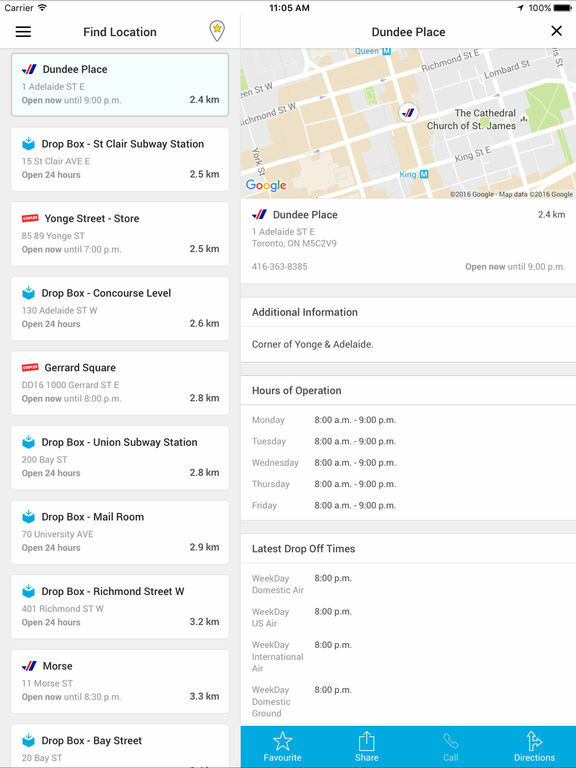 That’s why we have the Purolator mobile app, designed to keep up with your busy schedule. 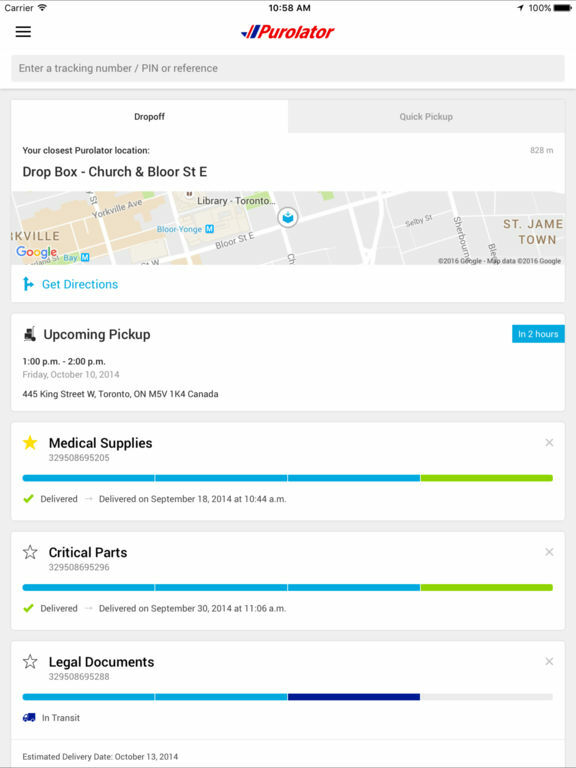 Purolator’s mobile app gives you increased visibility and control of your shipments, so you can better take care of your business priorities. With the app, you can easily manage and track your shipments from any mobile device anywhere, and anytime. Check the latest status of your shipment while you are on-the-go. 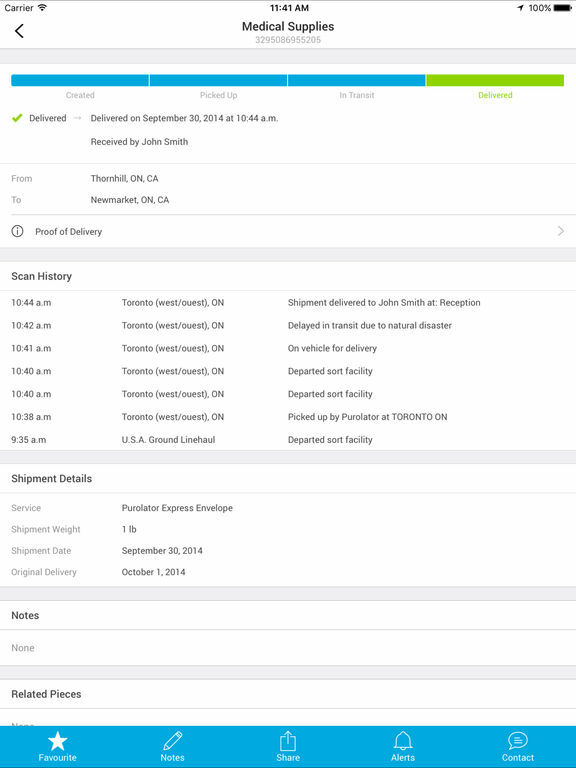 Easily access tracking details including when your shipment is in-transit or delivered. Easily obtain transit times and account-based estimates to help you select the best shipping option to meet your needs. 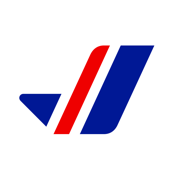 Schedule a convenient time for Purolator to pick up from your location. 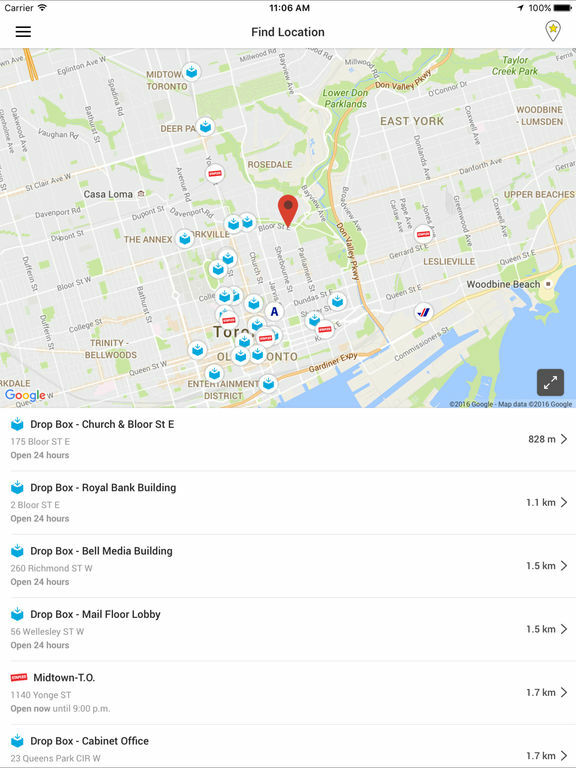 Save time by using GPS to locate your nearest Purolator shipping location, and view store hours and latest dropoff times so you can ship at your own convenience. Better manage your business priorities by simply subscribing to receive instant updates of shipments at your fingertips. Contact us directly by calling or emailing Customer Service.